If you design casted parts or tooling, and are a SOLIDWORKS user you may have hoped for the ability to simulate casting within SOLIDWORKS, possibly using the Plastics add-in? That would be a reasonable wish. Plastics is easy to use and relatively inexpensive. However, that is not the case for one main reason. Molten Plastics = Non-Newtonian (gooey) = Viscosity does change with shearing. Molten Metal = Newtonian (like water) = Viscosity does not change with shear stress. solidThinking Click2Cast helps fill this void, while preventing voids too! Click2Cast is a fast, easy, accurate and affordable casting simulation software that SOLIDWORKS customers are comfortable learning and using. Simulation and analysis are so prevalent in the engineering and design industries these days, that we can skip the lecture on the value of testing on a computer. If you were offered a crystal ball would you turn it down? Click2Cast is like Vulcan - the God of Fire, giving you the keys to the Kingdom. With this tool users can predict typical casting defects due to part or tooling design errors and fix them upfront, just like Vulcan did back in the day. Two of the most common casting issues are porosity and air entrapment. Both defects create voids in the casting. Nothing ruins your day more than fixturing up a freshly cast part for finish machining only to expose a big void beneath the surface. By that time, we have a substantial investment in the design or the part and tooling to start making changes to risers, runners and sprues. Click2Cast effectively addresses this need and many more. 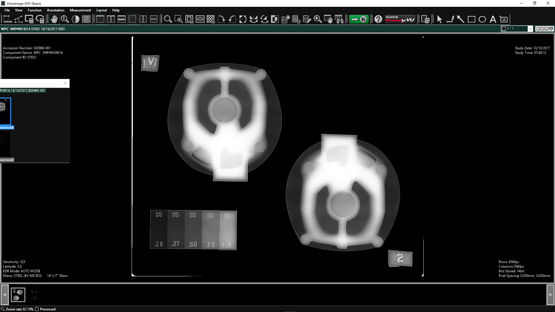 Click2Cast features a highly intuitive user interface, all while providing a simple 5 step casting simulation process. Now that you’re more familiar with the simulation process and key features of Click2Cast, there’s nothing like real world applications to demonstrate the full capabilities of any solution. Recently we had the opportunity to collaborate with Wisconsin Precision Casting on a design study. In this study, we looked to understand cost savings from all angles, from structural chang­­es to reduce part mass to the casting process. solidThinking Inspire was used for structural optimization and basic solidification studies while filling and detailed solidification studies were handled with Click2Cast. By investigating process with design, we can balance features such as location and number of ingates (and associated effect on part quality) ­­with structural needs. We found in this part, for example, that de-gating and pour time are such a significant cost driver they warrant special consideration during the structural optimization phases. Without taking this into consideration, significantly different structural paths might be taken that decrease casting efficiencies. In the end we learned how to reduce manufacturing costs, minimize casting porosity and still reduce the mass of the part by 8%. Who wouldn’t be pleased with those results? 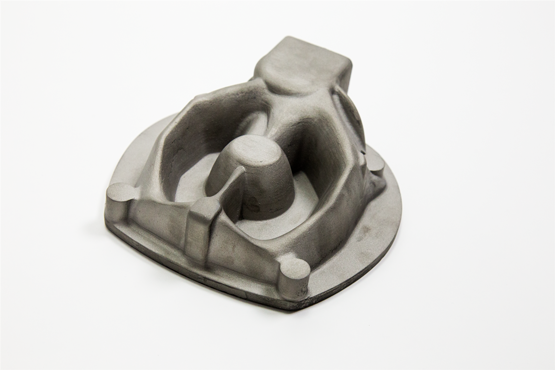 Do you have a part that you are designing for die casting or gravity casting? Do you design molds or patterns for casting? If so, contact Alignex here, and we would be more than happy to put Click2Cast to work on your part so you can see for yourself how click2Cast can fit in your design process. Get Started on Your Next Casting Project Today, with a FREE Casting Benchmark!